[Pro] How to use the Grid Customizer ? 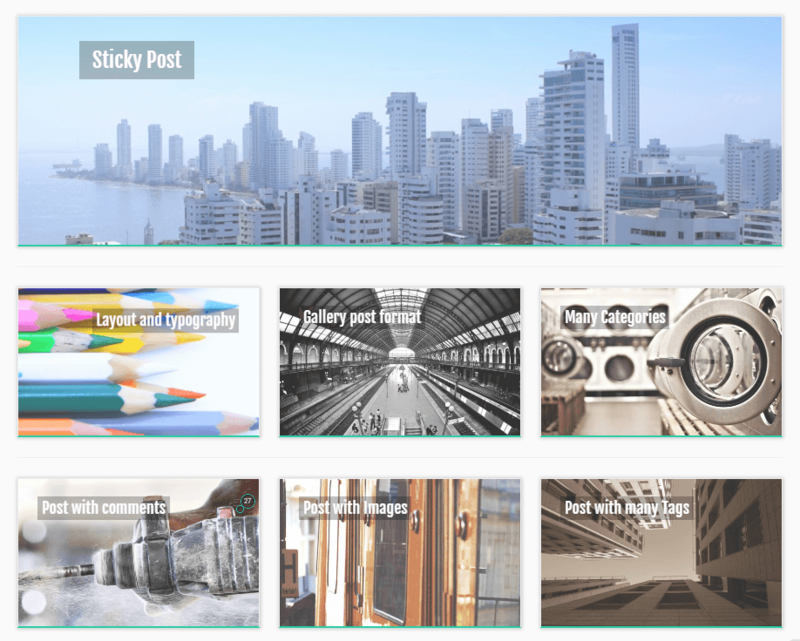 The post grid is a way to present a list of posts or porfolio items on your WordPress website. We've been designing attractive a eye catching designs for your posts lists. This Customizr Pro feature lets you choose from 21 beautiful reveal effects for your posts grid, as well as tons of grid design options. You can customize to your hearts content! Or randomize the effects! Try a live demo here. Look for Enable the Grid Customizer. Click the dropdown and select "Enable". Note:the Grid Customizer limits the excerpt's length to ensure an optimal rendering. After making the above selection, the customizer will expand to show you a list of grid settings. 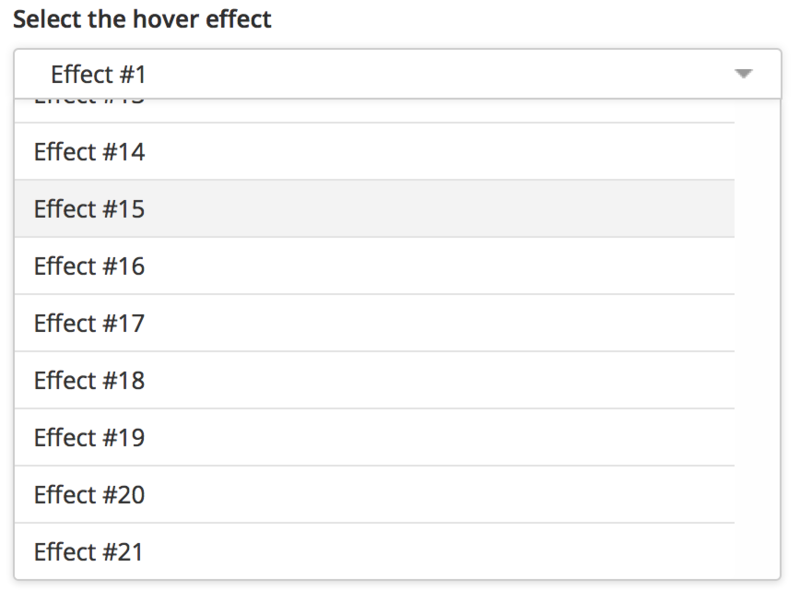 Click on the dropdown and select from a choice of 21 effects! You can choose and instantly preview the effect in the preview panel on the right. Hover over any post on your post grid to see the effect! Randomize the effects. 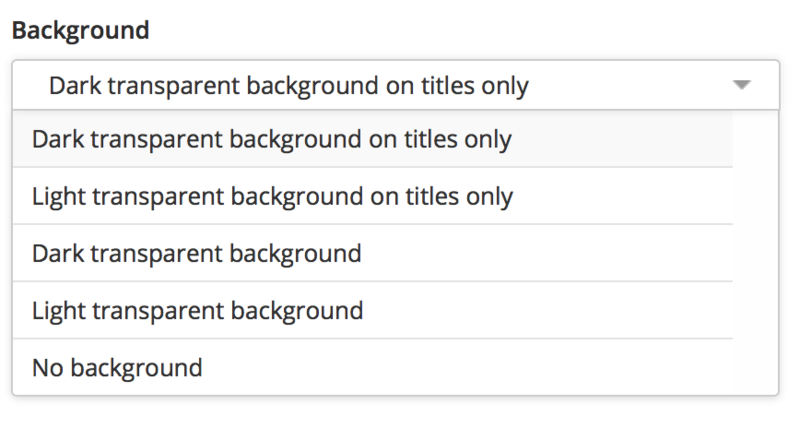 Instead of selecting one effect from the above mentioned setting, you can let the grid customizer select it for you! There are 3 options for selection. Background. Set the background of the hover effect. Select the one that you like, preview it on the right panel. There are 5 options for selection. Title color. Select the color of the title. There are 3 options for selection. Title Custom Color. This option is applicable only if you select Custom Color in the above option. Click on the color picker to select the color that you like. Post titles in big caps. Check on this check-box, if you want the post title to be in uppercase. Reveal design options. Click on the following image to reveal a group of design options. What and where to apply? The following list of options are self explanatory, check on options that you want to apply. Max length for post titles. Select or enter the number of words in the dial. 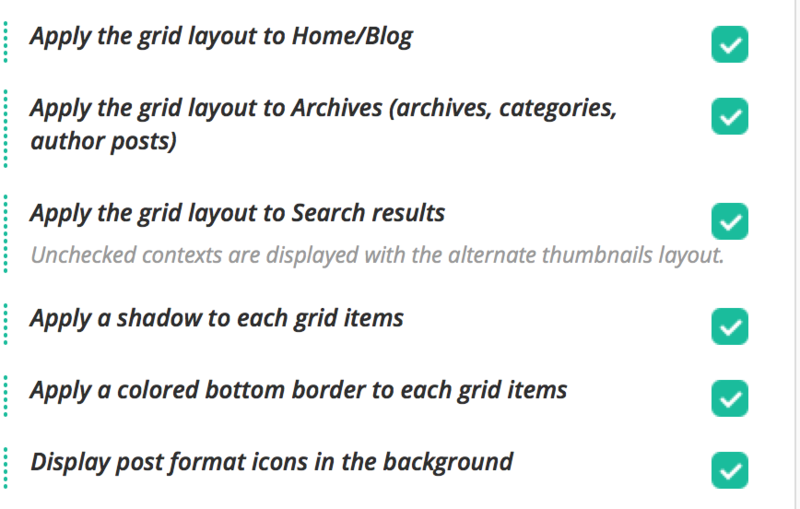 Thumbnails max height for the grid layout. This options sets the post grid thumbnail's max height in pixels. Select or enter the number into the dial. We have finally completed all the settings. You can save and publish your changes by clicking on the “Save and Publish” button found at the top left hand corner of your viewport. Doc created by: Menaka S.
[Pro] How to install and activate the Customizr Pro theme from your WordPress admin ? [Pro] How to customize your footer credits in Customizr Pro? My pictures are truncated, what can I do?